August 14, 2017 (Toronto, ON) – On Sunday, hundreds of cyclists from across Ontario participated in the Ride for Karen, an annual charity cycling event which raises money to support programs for children with cancer and their families. Thanks to support from Scotiabank, 100 per cent of the $120,000 raised this year will go directly to Camp Quality, Camp Oochigeas and Camp Trillium. 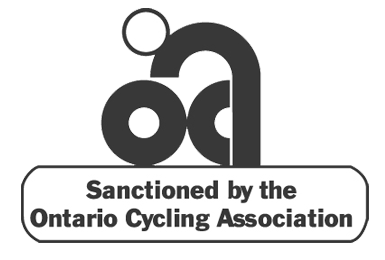 The event began at Markham District High School, where riders chose between 100km, 160km and 200km courses, which passed through Markham, Aurora, Newmarket, Uxbridge and along the shores of Lake Simcoe. The ride was founded by Kirk and Kris Tobias as a tribute to their mother, Karen Tobias, who passed away from breast cancer. Now in its 16th year, Ride for Karen has raised more than $2,500,000 million to help build and furnish new cancer care facilities, provide much-needed resources for cancer support centres and send kids with cancer to camp. Started in 2002, Ride for Karen is an annual cycling event that is held as a tribute to the life and legacy of Karen Tobias and to raise money for charities that help people living with cancer, and those who care for them. Over the past 16 years, Ride for Karen has raised over $2,500,000 million which has been used to help build and furnish new cancer care facilities, provide much-needed resources for cancer support centres and send kids with cancer to camp. Scotiabank is Canada's international bank and a leading financial services provider in North America, Latin America, the Caribbean and Central America, and Asia-Pacific. We are dedicated to helping our 23 million customers become better off through a broad range of advice, products and services, including personal and commercial banking, wealth management and private banking, corporate and investment banking, and capital markets. With a team of more than 88,000 employees and assets of over $921 billion (as at April 30, 2017), Scotiabank trades on the Toronto (TSX: BNS) and New York Exchanges (NYSE: BNS). For more information, please visit www.scotiabank.com and follow us on Twitter @ScotiabankViews.